The Camper is made from solid Beech wood with rubber wheels, and is solidly built and almost indestructible. 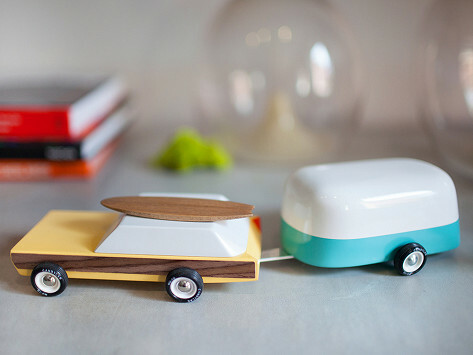 The Camper is designed to easily attach to the Pioneer or Woodie Vintage Model Cars only (sold separately). Dimensions: 7.5" x 3.8" x 2.75"